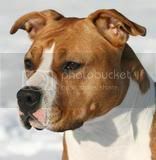 Hundar bits | Explozen´s Andromeda Daughter of a King "Grace"
“A tour-de-force examination of dog bites. 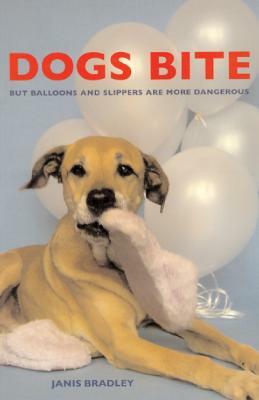 Among other persuasive appeals for sanity, Janis Bradley has outed “lumping”: the erroneous connection between kitchen-injury level bites and maiming or fatal dog attacks. She dares to be rational. Her rationality will—hopefully—raise the level of discussion in a topic mired in hysteria. Why do we get so excited about this particular class of injury? Enter the irrational. Human brains are organs that evolved for a single over-arching purpose: to maximize the representation of genes possessed by an individual brain’s owner in subsequent generations. We evolved in a different environment than the one we currently inhabit, however. Because of this, we are genetically predisposed to learn to fear animals with pointy teeth much more than to fear, say, hurtling along in hunks of metal at sixty-five miles per hour. Our brains are also not reliable truth detection devices. Any instances of truth detection are lucky by-products of selection for reproductive success. Scientific method was developed because of the chronic, abysmal failure of our brains to dope out reality, coupled with a fascination to know truth. Our intuitions are flat-footed much of the time. Stephen Jay Gould once mused, “the invalid assumption that correlation implies cause is probably among the two or three most serious and common errors of human reasoning.” If one searches the backgrounds of that small minority of dogs that kill people, lo and behold, many of them will have previously engaged in species-normal ritualized aggression: growls, snarls and kitchen-injury or less level bites in predictable contexts. This then becomes the foundation for the faulty causal leap, a slippery slope argument that says: if a dog is growly around his food dish, he will someday seriously hurt or kill someone. What is omitted is that a significant percentage of all dogs engage in species-normal ritualized aggression and the overwhelming majority will never hurt, much less kill, anyone.